Who's here for you and your animals? Megan is a licensed massage therapist for people and animals, and a certified Zero Balancing Practitioner. She has an extensive background and training in various forms of massage, bodywork and energy work, as well as experience teaching school (elementary, middle school, ESL) and therapeutic riding. 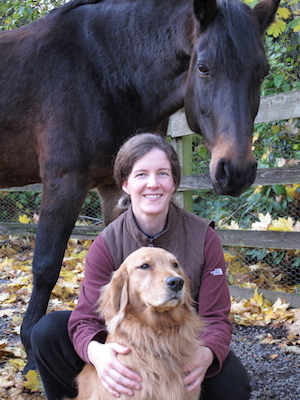 Megan now divides her work life between tending to her bodywork clients (human, equine and canine), and teaching and mentoring professional animal bodyworkers and horse and dog owners online/worldwide, though the Power of Touch for Animals E-Learning Center. Scroll down for details of Megan's background, and her books on animal massage! And for local services with Megan (Greater Seattle area), see info here. Kim Bauer is a T.E.A.M. mentor, and a contributor to the Inside Track membership, and also offers a course on Bach Flower Essences here at Power of Touch. Kim is a leading expert and teacher of acupressure for animals (Nationally Certified (NBCAAM) Equine Acupressure Practitioner). Kim also has additional certifications in, and teaches, massage for Large and Small Animals. For local services with Kim (Mt Hood area, OR), see info here. Lisa Ruthig is a T.E.A.M mentor, and a contributor to the Inside Track membership. 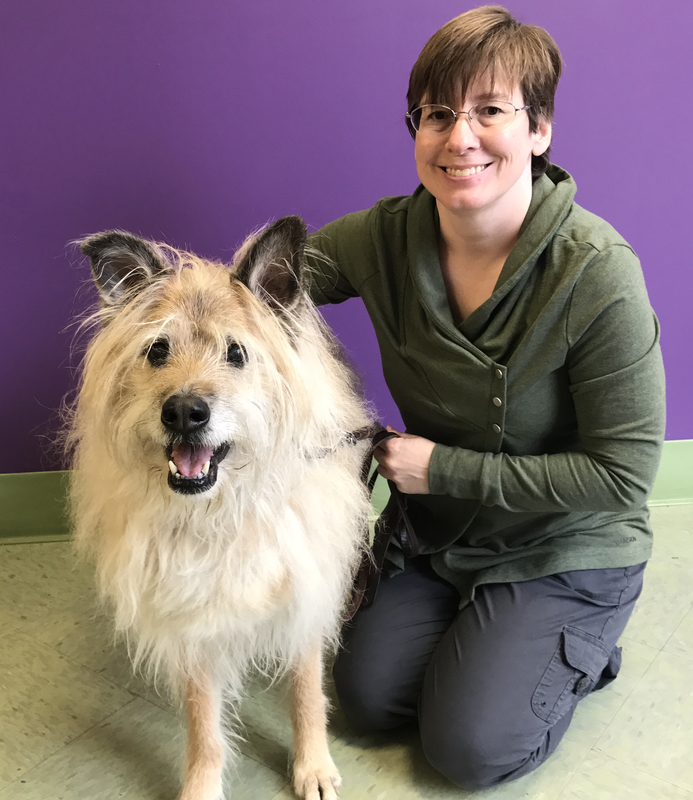 She is Chair of the National Board of Certification for Animal Acupressure and Massage, and is also Director of Animal Programs at Bancroft School of Massage. 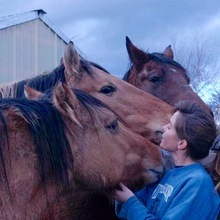 Lisa has a private practice for small animals and horses, is a veterinary assistant, and has extensive experience in canine behavior and training. For local services with Lisa (CT, MA, RI), see info here. Megan's books are on Amazon. Inside Track members get them in digital format (a PDF) as a free bonus! 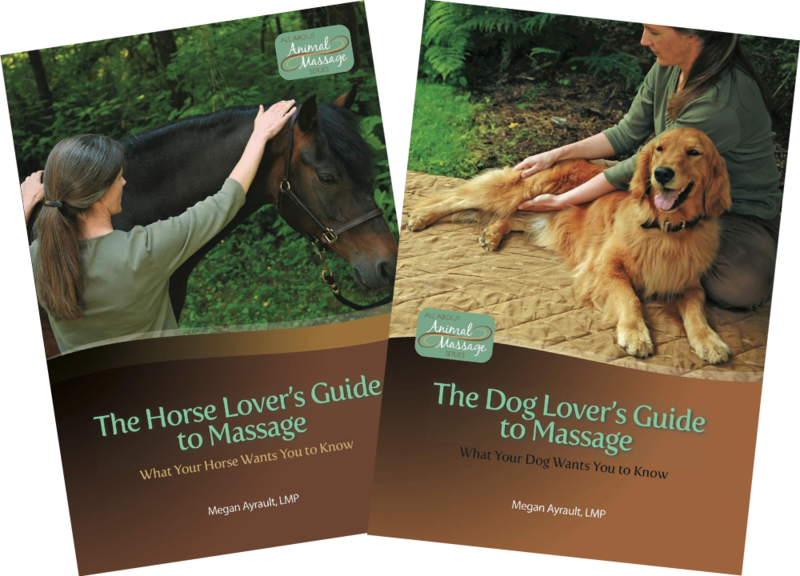 Note: These books were published when Power of Touch for Animals was originally "All About Animal Massage."